Chef Stevie Parle, a River Cafe alum, runs an experimental kitchen at Dock Kitchen that creates menus based on the best produce of the season. 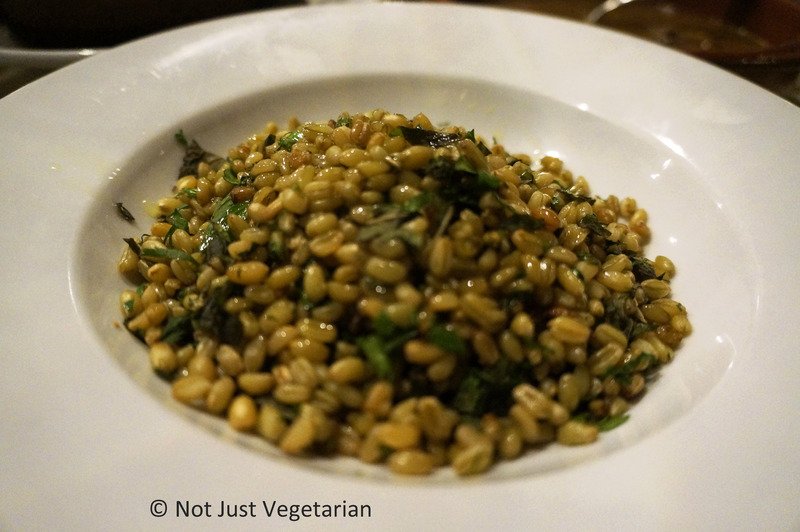 Dock Kitchen prides itself in using spices much like a “flavour” / “special” of the month (e.g., Sri Lanka inspires the menu for the next 2 – 3 weeks, until 15th March 2014). Recipes are spontaneous and not necessarily tested for months. 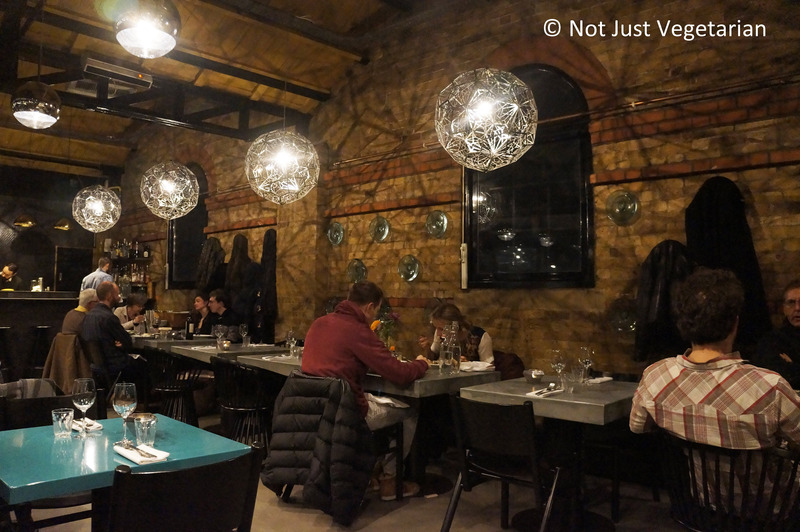 The restaurant has an airy, open, loft-like feel and overlooks the water – it is in a Victorian Wharf building overlooking the Grand Union Canal in Ladbroke Grove, West London. One would go to Dock Kitchen to seek out the food (very good, overall), or if one is shopping in the Tom Dixon shop that is right underneath Dock Kitchen. The service at Dock Kitchen was attentive, courteous and friendly, if not the most knowledgeable (the server always offered to get more details anytime we had a question for him about a dish). There is a fixed sharing menu as well as an a la carte menu every evening. Spices are liberally used in many dishes with delicious outcomes more often than not – e.g., the chicken livers with seven spices and pomegranate molasses and the lamb biryani were the best dishes of the evening (apparently the most popular too). 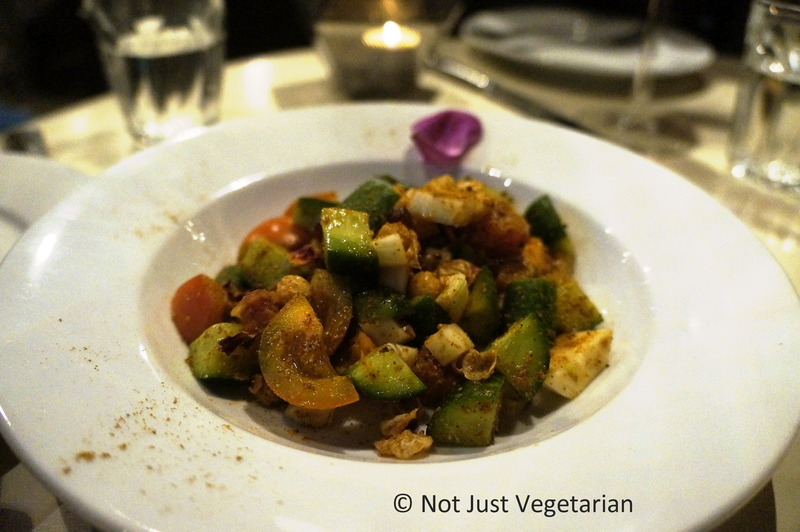 The winter tomato chaat masala and the smacked cucumbers were less impressive. Among the desserts, the olive oil cake with the caramel oranges was excellent, but the chocolate with the burnt, salty hokey pokey was a tad too salty. 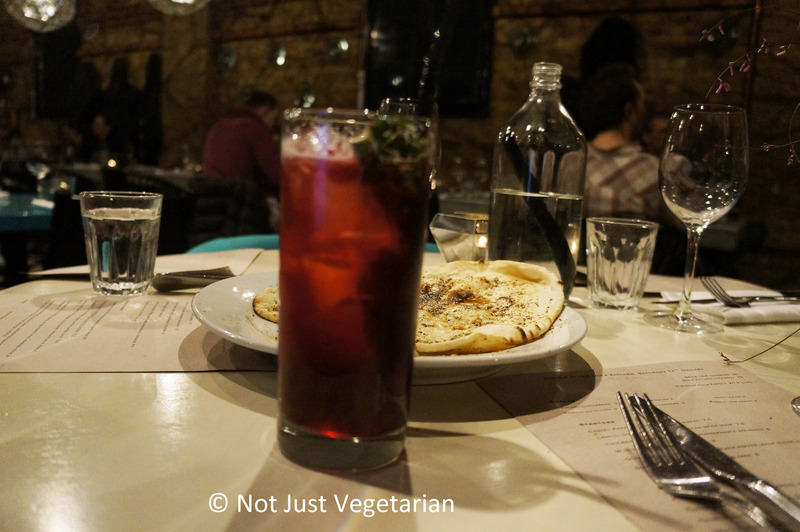 We got some unique drinks / dishes at Dock Kitchen – e.g., hibiscus tea, tempura of sage leaves, naan with sumac (house bread). 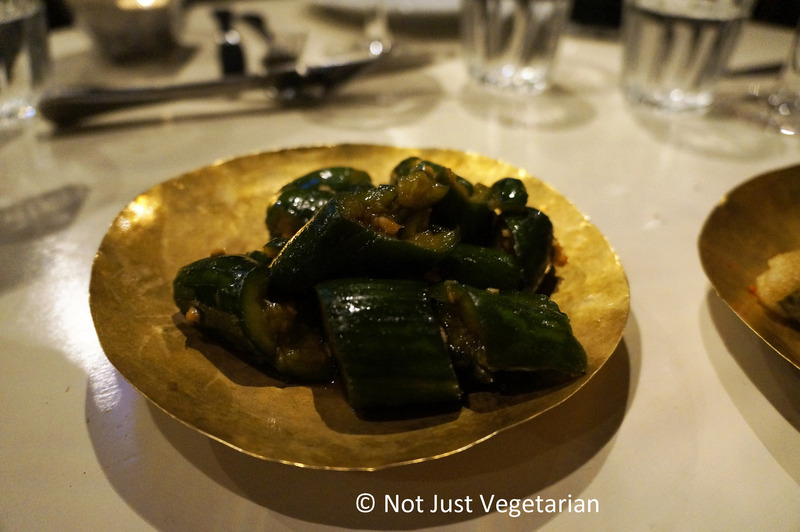 The smacked cucumbers were smacked to absorb more of the spices and salt, but was not very impressive. 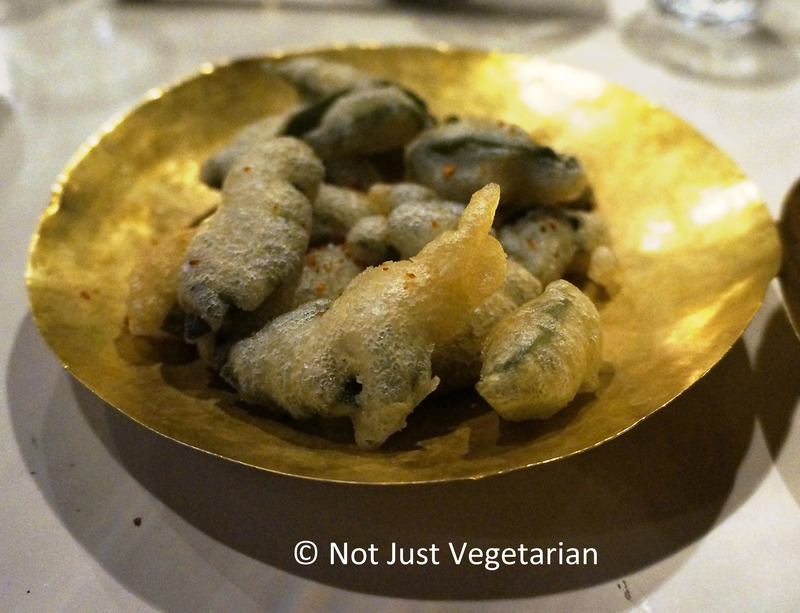 The sage leaf tempura was unique and did not leave an impression either. 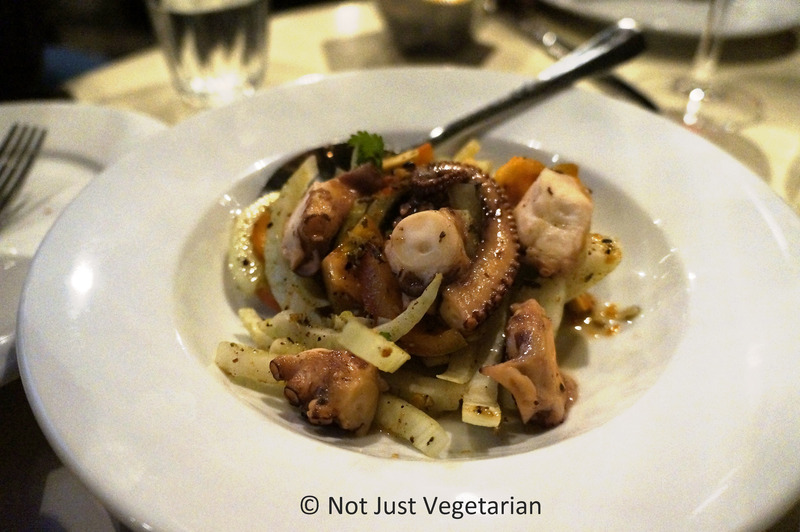 The octopus salad with shredded fennel, black pepper, palm sugar and fish sauce was good, but not the best grilled octopus I have had. The octopus was soft, but too chewy for my preference. The winter tomato chaat masala had too much chaat masala to enjoy the fresh tomatoes. 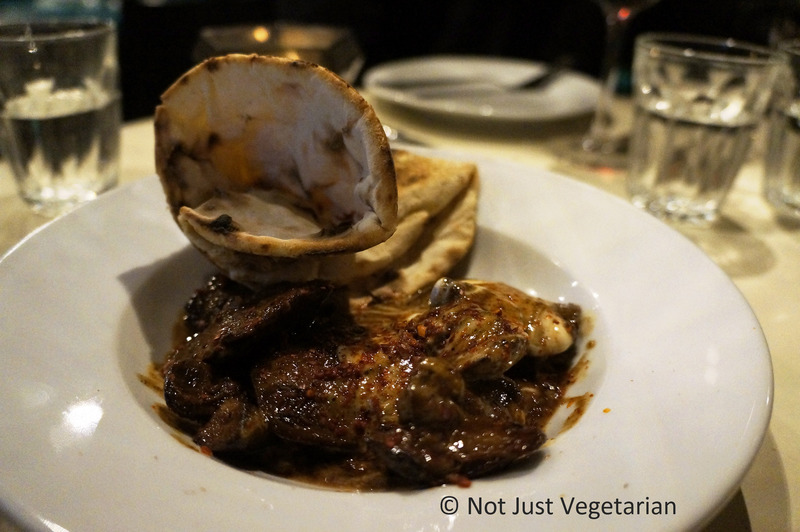 The chicken livers with seven spices and pomegranate molasses were delicious. I find chicken livers too intense to enjoy, but the spices and the pomegranate molasses blended well with the chicken livers to mask the intensity. 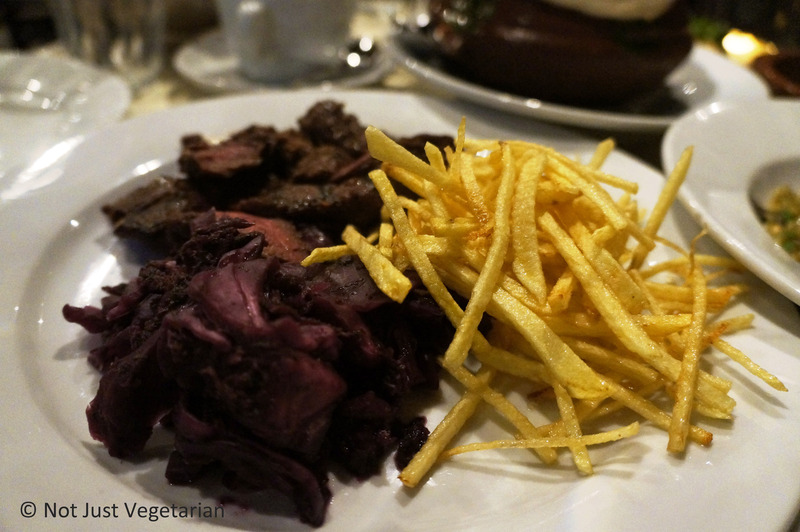 My friend who got the Korean marinated onglet steak with shoe string fries and kimchi was very happy with his dish. 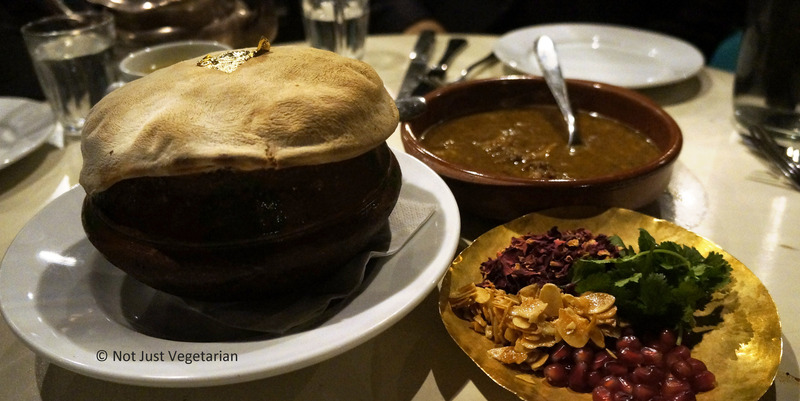 The highlight of the evening was the lamb biryani that came in a dough sealed pot. The rose petals, pomegranate seeds and the toasted almonds were delicious toppings. 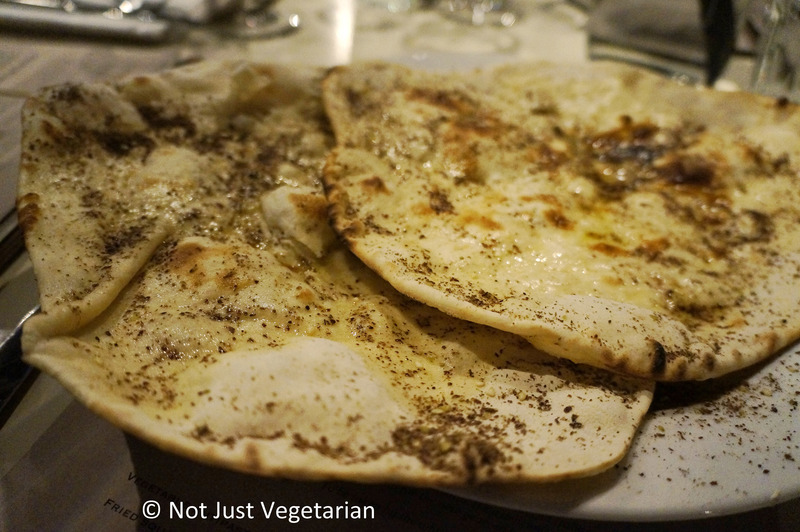 The rice was well cooked with aromatic spices and herbs while the lamb was tender and almost melted in the mouth. We were given additional gravy in case the rice was dry inside, but we did not need it – the biryani was perfect as it was served in the pot! 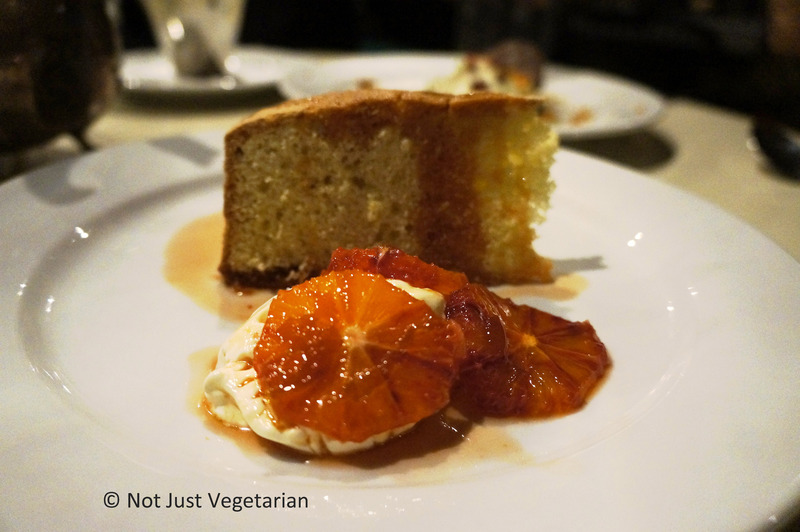 The olive oil cake was delicious with the caramel blood oranges. 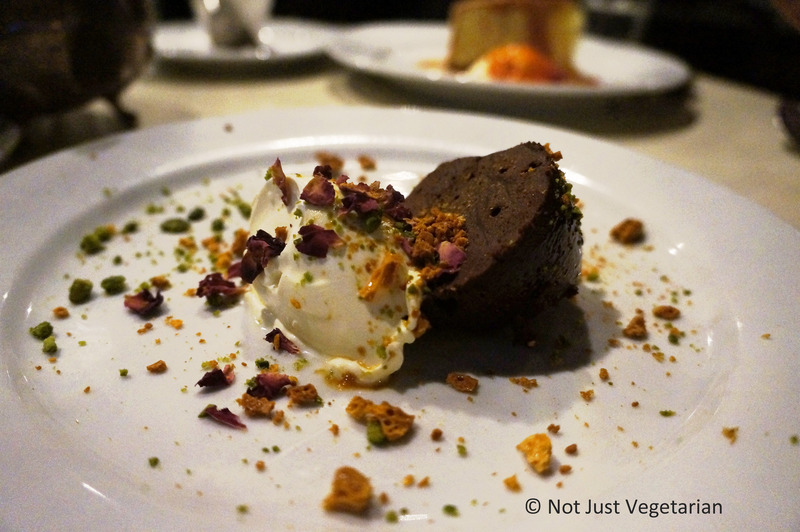 The (dark) chocolate with the burnt, salty hokey pokey was too salty, and the cultured cream was a nice touch – overall not a sweet dessert (and that might appeal to some). 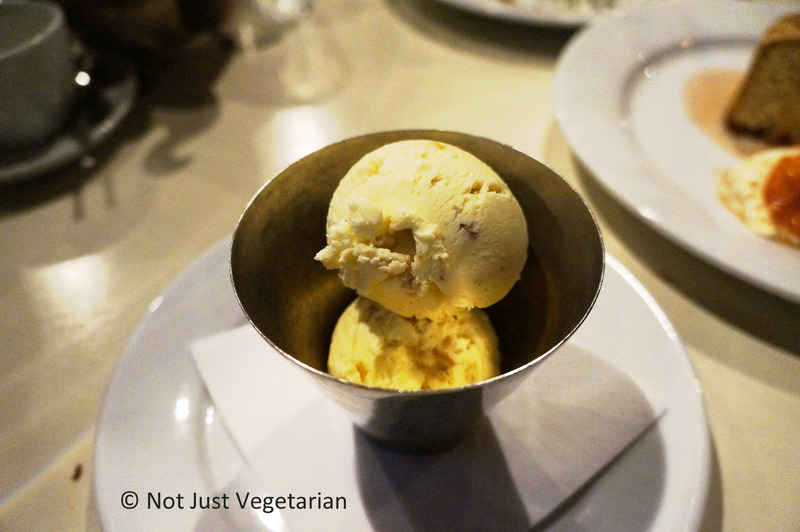 The tutti fruti ice cream was decent, and again not too sweet. I would go back to Dock Kitchen to experience their innovative and spontaneous use of spices (or is it Fusion food as Kopapa refers to it? 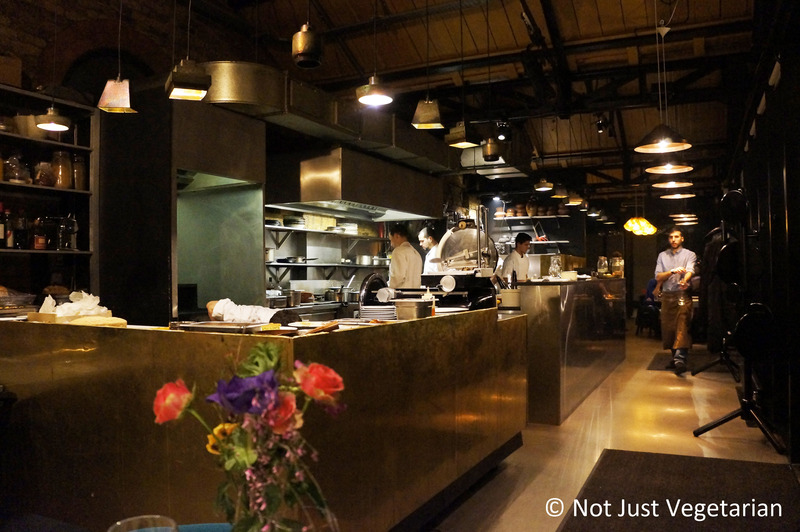 ), as I had a better experience at Dock Kitchen, overall, than at Kopapa. Related reading on Not Just Vegetarian. Tags: Chef Stevie Parle of Dock Kitchen, chicken livers Dock Kitchen, Dock Kitchen, Dock Kitchen London, Dock Kitchen reviews, hibiscus tea, how is the food at Dock Kitchen, korean marinated onglet steak, lamb biryani Dock Kitchen, naan with sumac, octopus salad, olive oil cake, onglet steak, sage leaf tempura, salty hokey pokey, smacked cucumbers, tutti fruti ice cream, would you recommend Dock Kitchen.